Happy Holi-DAZE! 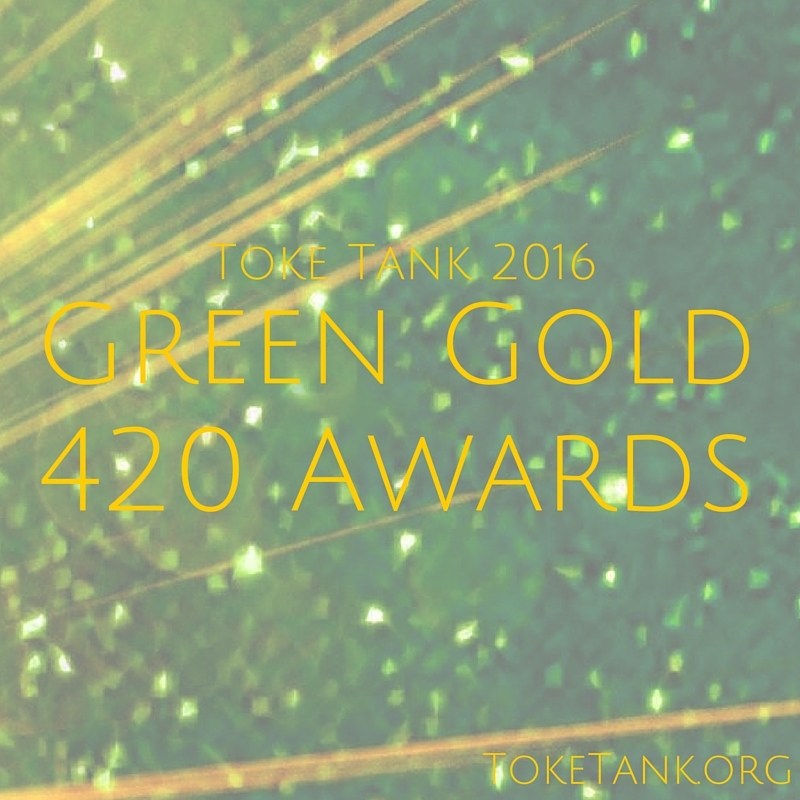 4/20, the holiday of choice for pot smokers has arrived and with it, the arrival of Toke Tank’s 2nd annual Green Gold 420 Awards. We are so excited to be continuing this award and honoring not only the fine growers and sellers of Washington’s legal marijuana under I-502, but also hailing the amazing strains we’ve smoked and reviewed in the past year. We strive to smoke, test and taste it all in search of Washington’s best marijuana strains and businesses in the new recreational marijuana space. The categories are Best Indica Strain, Best Sativa Strain and Best Pot Shop and Best Grower in Washington. Read on for the winners of the 2016 Toke Tank Green Gold Awards! A spicy, deep and long-lasting Indica, pair Jesus (AKA Anubis) with nature, smoke it by starlight or bask with it in the desert. A potent weed that goes straight to your head, it has immediate euphoric effects and leaves you feeling like a deep, introspective pool of blessed water. A strain that makes you feel light, free and full of a childlike awe, Alice in Wonderland is an easy daytime sativa that makes nature seem like heaven. This weed is for thinking and exploring while wandering and meandering across the map. Washington’s pot shops and budtenders tend to be helpful and knowledgeable, but the crew at Have a Heart Ocean Shores stands out in the crowd. The team was fun, exciting, helpful and friendly; they even stopped to snap some pictures with us! This location is the first recreational marijuana shop under the Have a Heart brand of medical marijuana clinics. Visit them at: 668 Ocean Shores Blvd. NW. NuGreen is a wonderful I-502 grower based out of Spokane, Washington. We recently visited their grow-op and got to know those that make up this labor of love. NuGreen stands out in a sea of green because of their intense appreciation of their customers, the care and knowledge of growing the marijuana plant and their vision for eco-friendly grow-tactics. Congratulations to this year’s Green Gold 420 Award winners! Much peace and love from Toke Tank! 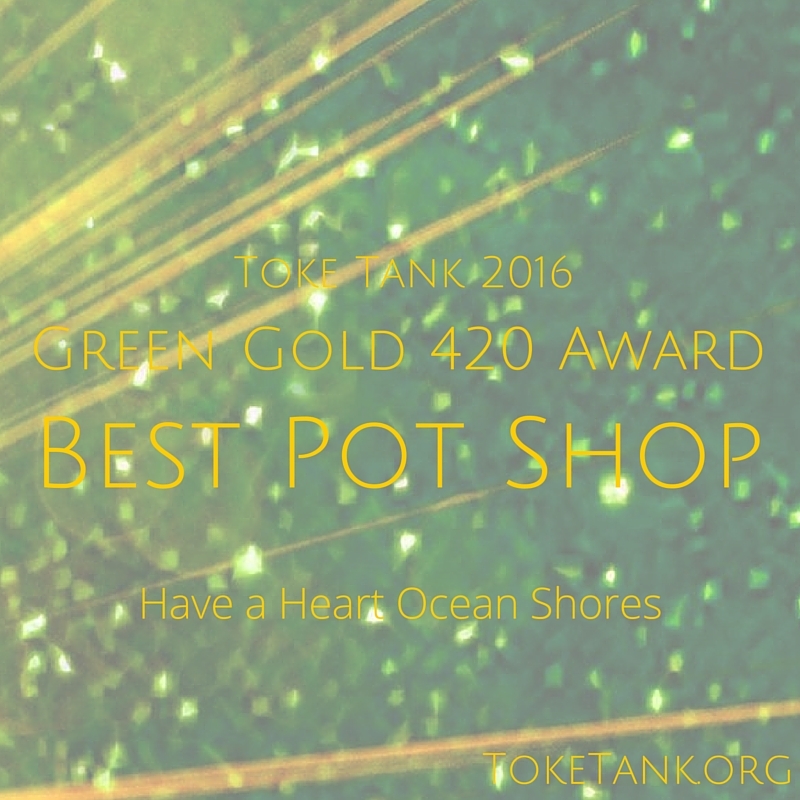 Photos: Toke Tank-feel free to use these if you are one of our 420 Award winners!